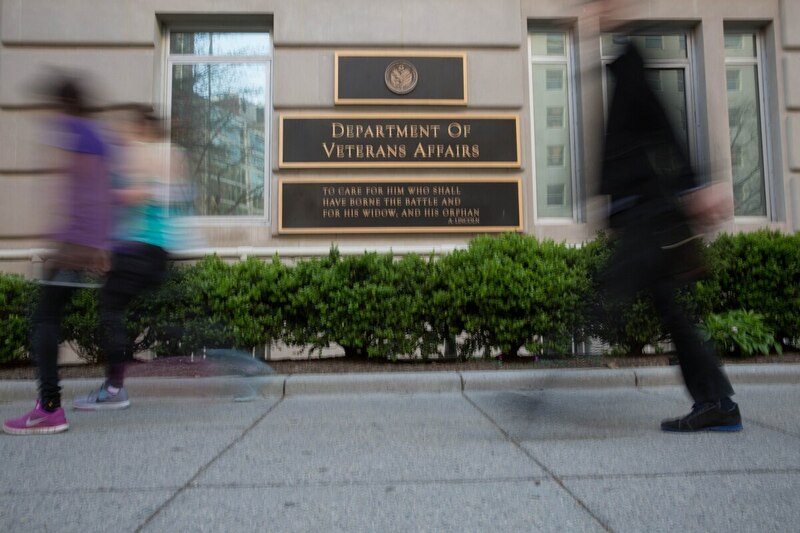 WASHINGTON — Officials at Iraq and Afghanistan Veterans of America are hoping that Veterans Affairs leaders will change the department’s “sexist motto” in time for this year’s Veterans Day celebrations. But so far, VA administrators have shown no interest in new wording. The quote comes from former President Abraham Lincoln’s second inaugural address, as part of his plan for reuniting and healing the country after the Civil War. But IAVA officials say the 152-year-old remarks haven’t aged well. But that change seems unlikely. More than 345,000 women service members have deployed overseas since 2001. In a recent IAVA membership survey, less than a third of the women polled said they believe the civilian public treats women veterans with respect, and more than half of women (and 40 percent of male members) supported the motto change. IAVA officials say there’s precedent for changing the motto to more inclusionary words. In 2003, the Air Force Academy dumped its well-known “Bring Me Men” slogan in favor of “Integrity First. Service Before Self. Excellence In All We Do.” A year later, the Naval Academy revised the lyrics of its fight song to drop male-only references. Last year, the Marine Corps updated 19 military job titles to drop the term “man” from posts that could also be held by women.